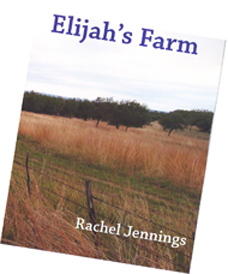 Rachel Jennings grew up in East Tennessee. She received her B.A. in English literature at The University of Tennessee at Knoxville. Afterwards, she earned an M.A. and Ph.D. at the University of Texas at Austin. She teaches English composition and literature at San Antonio College in San Antonio, Texas. She is also a member of the Conjunto de Nepantleras at the Esperanza peace and Justice Center. She has previously published a chapbook, Hedge Ghosts (2003) with LaNana Creek Press. "I am bound to the voices..." Rachel Jennings declares, "...the sky-tossed voices of past lives." Whereas kin forget and history is often deaf, this poet remembers as faithfully as any bible plump with names of the living and the dead. It's to the survivors she pays homage, the barrio rednecks, the hillbilly women, the folks who don't think they make a difference in this world. At home in Texas or Tennessee, in Aztlan or Appalachia, Jennings knows talk is more than just talk, and poetry is more than just poetry, but necessary medicine for communities ignores." but they are not to be kept. that would make sense to you. are enough. I am bound to the voices.